Company supper right here, my friend. Next time you have company coming over and you find yourself wondering what to prepare. I’ve got the answer for you right here. Preheat oven to 375 F. Lightly grease a 9x13-inch glass baking dish with non-stick cooking spray. Grind or finely chop the cashew. Toss together the crushed cashews, grated Parmesan cheese, oregano, salt and pepper in a shallow dish. Coat each side of the pork chops with the dry mixture. Place into the prepared baking dish. Bake in the preheated oven for 30 to 40 minutes, or until pork chops are cooked through. Cooking time will depend on thickness of the pork chops. 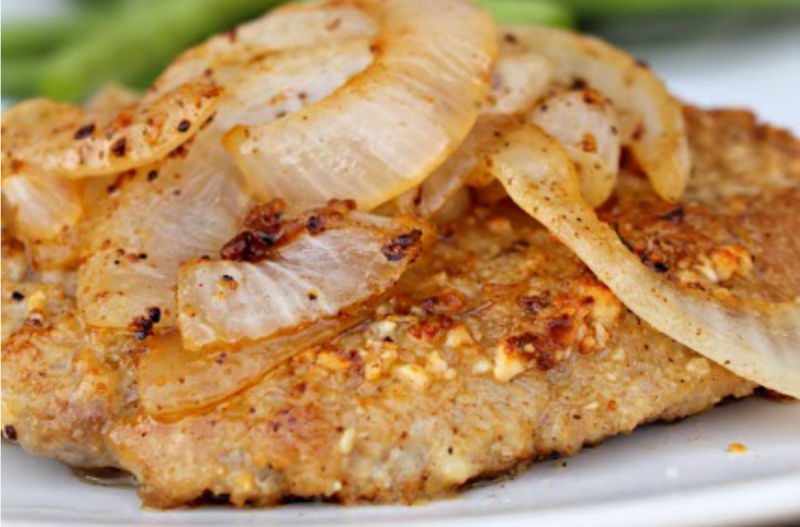 While pork chops are cooking, slice the onion and saute in butter or olive oil for garnish over low heat for 20 minutes. 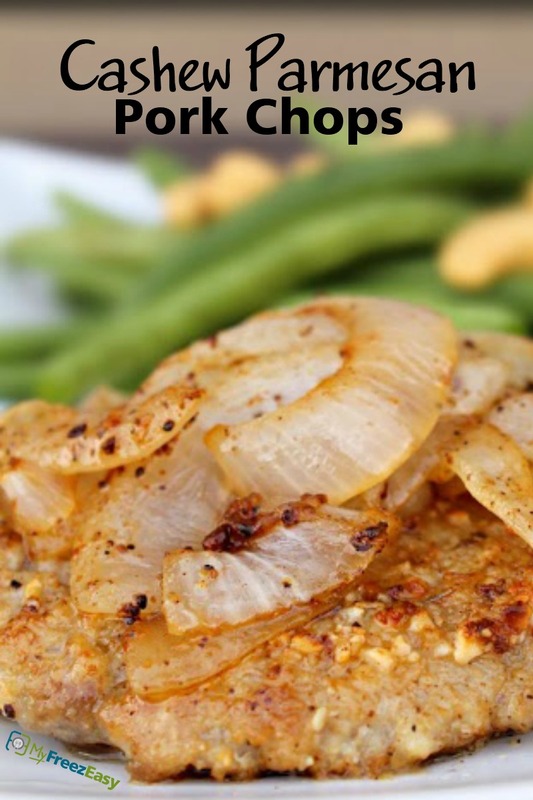 Serve Cashew Parmesan Pork Chops with onions garnish, salad and dinner rolls. Grind or finely chop 2/3 cup cashews. Toss together the crushed cashews, 2/3 cup grated Parmesan cheese, 1 tsp oregano, 1 tsp salt and pepper each in a shallow dish. Coat 8 pork chops on both sides with the dry mixture. Recipe is gluten-free when served with gluten-free sides like rice in place of dinner rolls. Thaw completely and bake at 375 F for 40 minutes, or until pork chops are cooked through. Saute onion slices in butter or olive oil for 20 minutes and use to garnish.